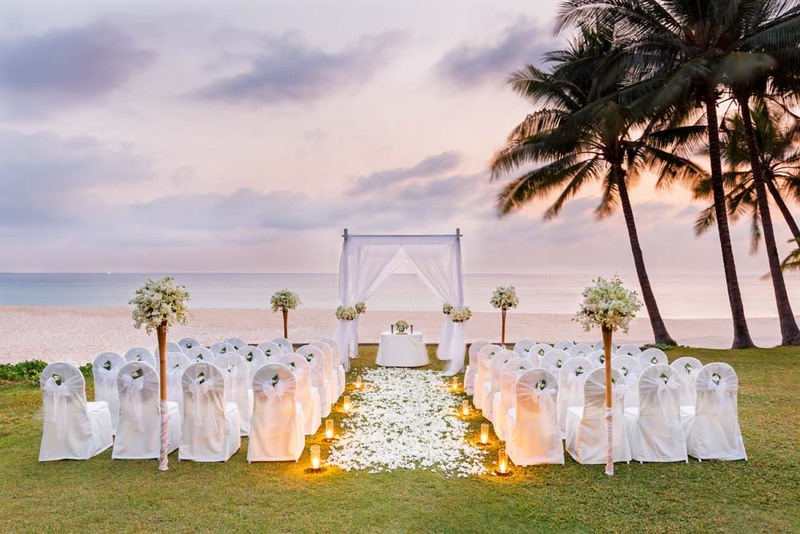 Located on the beachfront between the sand and the tropical gardens that surround The Surin, the grass lawn offers a picturesque setting for a wedding and reception. 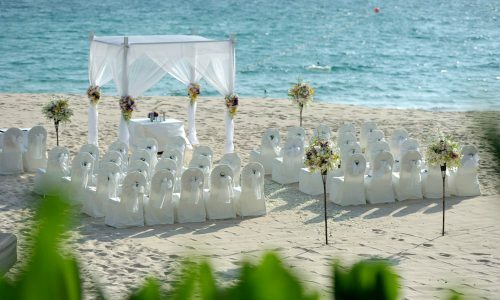 There’s ample space for a dining marquee and guests are seated facing the ocean so they can watch the ceremony against a background of white sand and turquoise water. 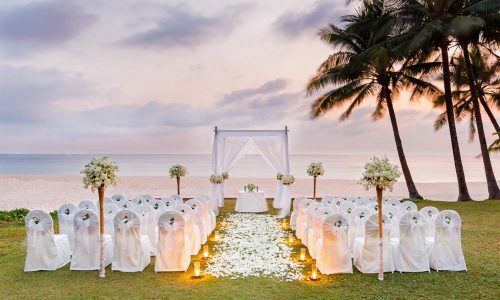 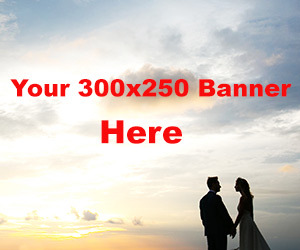 Venue of your choice from the location available with flower arrangement: Floral archway andflower displays around the ceremonial area. 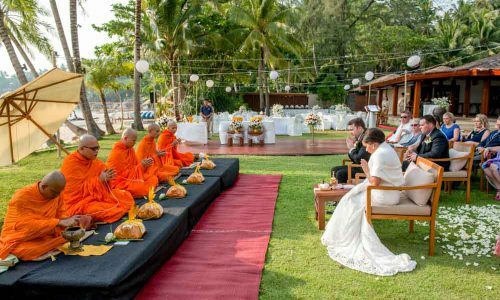 Option II: Traditional Thai wedding and Buddhist monks blessing Ceremony.